Blackjack, or 21 as it’s also called, is probably the most popular card game in any casino worldwide and online. This table game gains its popularity from the fact that it’s one of the easiest games to understand, has some of the best player odds in the casino, and generates great table camaraderie. 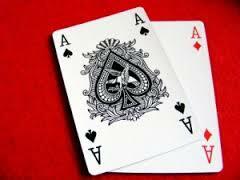 Blackjack can be found where the casino only uses from 1 deck of cards up to 8 decks in some casinos. Below I will provide you with all the information necessary to make your online bitcoin blackjack sessions more fun and profitable, as well as listing out the top 5 best Bitcoin blackjack sites that made the cut. The objective, or goal, of blackjack is for you ( the player ) to get closer to 21 with your cards than the dealer without going over. In this game the cards are worth face value, or pip number. For example, a 4 of any suit is worth 4, and a nine of any suit counts for 9. The suits are meaningless in blackjack, we’re only concerned with the numerical values of the cards. The only exceptions are that all face cards including 10’s, Jacks, Queens, and Kings are all worth 10 points. Also, Aces are either worth 1 or 11 depending on how you would like to use them. For example if you have a 6 and a 4 and then get dealt an Ace, you would choose it to be 11 in this instance giving you 21 and the best hand possible. 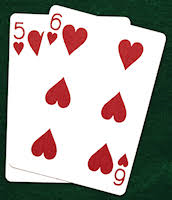 On the other hand you’re dealt a Jack and a 6 ( worth 16 ) and then receive an Ace, you would count this as 1 for a total of 17 instead of counting it as 11 and busting with a total of 27. There are 3 ways for a player to win at blackjack. 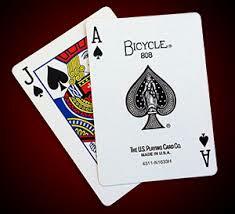 1: You are dealt Blackjack, or 21, with the first 2 cards. ( this must consist of any of the face cards worth 10 and an Ace worth 11 ) You cannot lose this hand but could possibly tie if the dealer is dealt a blackjack as well. This is unfortunate but does happen on occasion. 2: The dealer’s hand busts ( exceeds 21 ) and yours doesn’t. 3: Your non busting hand beats the dealer’s non busting hand. For example, you end up with 18 and the dealer ends up with only 17. Blackjack rules are fairly similar no matter where you play. Before you sit down at any table whether it’s live or online, make sure to familiarize yourself with it’s house rules. For example, make sure that the dealer must stand ( cannot take any more cards ) on all hard 17’s. In most casinos worldwide, the dealer has to hit all hard hands below 17 and stay on all hard hands above 17. A hard number is the hand value when not containing an ace. For example the dealer has a Jack and a 7, this would be a hard 17 as opposed to a soft 17 that would consist of an Ace and a 6. Most casinos have to hit on soft 17’s , and this is definitely a rule that benefits the player and worth watching for. Another rule to notice is what the house is paying for your ( player ) blackjack hands. Most casinos offer a 3/2 payout for this. For example, if you bet $10 and are dealt a blackjack, then you are paid $15 , or 3 units for your 2 units, on your $10 wager. The better the blackjack payout, the better for the player. As the objective is for your hand to beat the dealer’s hand, you have a couple options to help you achieve that goal. Stand: This refers to when you feel your hand is strong enough to beat the dealers hand without taking any more cards. For example, you have 18 and don’t want to risk taking another card and busting, so you would stand. Hit or Hitting: Basically this refers to taking another card from the dealer, or taking a hit. For example, you have 13 and you feel like the dealer has a better hand, you’ll want to hit and see if you can improve on your hand value without busting. Splitting: When holding 2 cards of equal value, such as two 9’s, you have the option of splitting the hand. If you decide to split the hand it’s essentially like playing 2 separate hands versus the dealer now. If you decide to split, you will have to bet again on the second hand for the same amount as the original hand. For example, if you’re betting $10 and decide to split your hand, you will put out another $10 for the second hand and play out each hand like it’s the only hand until you either stand or bust on both. This is one of the rare opportunities to alter your bet during a hand, and is a great way to bet more when a dealer looks weak. Doubling Down: this option allows you to double your bet after your first 2 cards are dealt. The upside to doubling is that when a dealer looks weak, you can get more money against them and will double if your hand ends up being best. On the flip side, with this option you’re only allowed 1 card. For example, if you’re dealt a 9 and a 2 ( for value of 11 ) and decide to double down, then receive a 3, that’s where you have to stand, for a total value of only 14. This option is usually taken when you’re dealt a 10 or 11 with your first 2 cards and the dealer is showing a bust, or weak, card such as a 3, 4, 5, or 6. I’ll go over the reasons why in the Strategy section below. The strategy will be slightly different for whether you have a hard hand ( no aces ), or a soft hand ( including an ace ). Hit on all hands with value of 12 – 16 when the dealer is showing a 7 – Ace. never split 5’s or 10’s. With two 5’s you will either be hitting or doubling down and with the two 10’s you have a value of 20 which will win @ 92% of the time. It’s the closest to 21 that you can get without having 21. Doubling Down: Remember that when doubling down that you’re putting more money at risk, so you should only double down in certain hands. Always double down when your hand is worth 10 or 11 and the dealer’s showing 9 or less. Some strategies say to always double down even if the dealer is showing a face card, but I prefer to just hit against that scenario. I don’t like to put extra money out when the dealer is strong. There’s not much difference between playing at your local brick and mortar casino and playing at your favorite online casino. I prefer the online method because of it’s convenience. I don’t have to dress up and drive several hours to the nearest casino. I don’t have to deal with smokers and loud music either. The main reason I choose online over live is that my favorite online casinos allow me to make deposits in Bitcoin. Also with the top Bitcoin friendly casino’s, they offer great deposit bonuses and super fast payouts for those using bitcoin. Of course you can pick your own poison, but for me the advantages of playing online outweigh any possible negatives. Now test your Bitcoin Blackjack skills for free here: Practice Blackjack FREE! After reading over the information I’ve laid out, you should be able to feel comfortable sitting down at a blackjack table, whether in person or playing bitcoin blackjack online, and hold your own. Now of course you can further your knowledge and edge over the house by learning to count cards and learning shuffle tracking, but these 2 advanced techniques I will leave to the masters in those particular fields. I thank you for spending time reading this article, and I hope it’s given you the confidence to start playing one of the funnest casino games of all times.